Music has been used to create many different kinds of trends, though as of late, the trend seems to be focused on the negative messages. However, there is one artist who wants to change the paradigm and create a positive influence in the hearts and minds of his audience; Shane. His fun, positive, pop/rap style reaches out to his audience with an up-tempo beat and with his words, which are considered "poetry in emotion". This refreshing expression in the music world instantly strikes a cord with all those that listen. New York City born and raised, Shane is a Pop-Rapper with a different twist. He writes with the energy and authenticity of rap, making music that "you can dance and nod your head to," while leaving out the profanity, degradation of women, and any allusions of violence, drugs or alcohol. 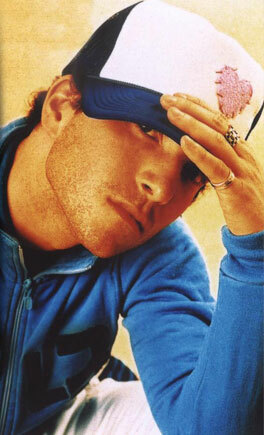 Shane launched his music career five years ago with the independent release of his album "Never Peak." Shane promoted "Never Peak" with club, charity and in store performances, where the CD found placement in Tower Records and Sam Goody stores. He used the success that he had attained to launch a three-month club/charity tour in France in 2003. While touring the nightclubs of Paris and the Riviera, he gained face recognition on the scene and used his popularity to perform at homes for abandoned and abused kids. Shane ended off his tour at the VIP Room in St. Tropez, a venue last played by P. Diddy. Having worked with some of the best up-and-coming producers, Jiggolo (Capitol Records Artist/Producer) and Young Fyngas (Lil' Flip & Paul Wall), Shane is making his first major push in the US. Shane began his artistic career at the age 16, with the publishing of his first novel, Baseball's Big Starr. Shane later adapted the novel to produce his first television pilot, "Central High," which gained national attention as a 10-minute short, featuring Ashanti, on HBO Family. The success of "Central High" earned Shane a place among HBO's "10-Up Group," featuring 10 of the most promising filmmakers in the country. That status helped him land an HBO-commissioned project for a documentary about baseball called, "The Greatness of the Game." The film gained national attention from media outlets such as the Today Show, Good Day New York and Seventeen Magazine. Shane has expanded his filmmaking career to include mental health PSA's featuring Martin Sheen, a music video entitled "It's Just the Way It Is," and a film called "Memories Of You (All The Loss)". "Memories of You" was produced with PDI/Dreamworks, appeared in six film festivals, and won the Artistic Excellence Award at the Atlantic City Film Festival in 2002. When Shane is not performing, working on his music and writing/directing, he is chartering two new foundations; KADAS (Kids Against Drugs, Alcohol and Smoking) and the Pen & Pad Foundation, an organization helping kids take an interest in creative writing from a young age.